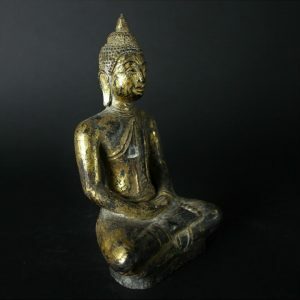 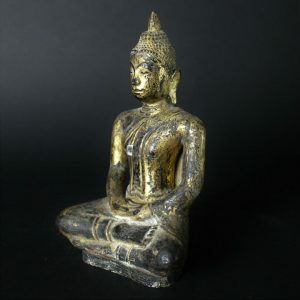 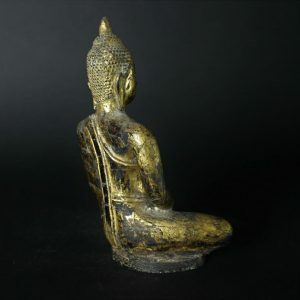 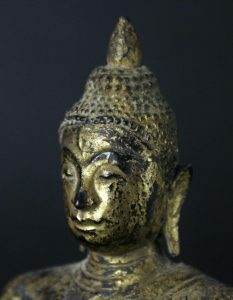 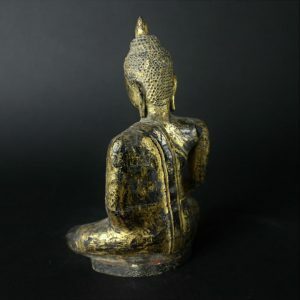 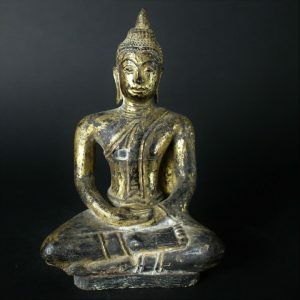 Wooden Thai Lacquered and gilded Ayuthaya style Buddha Ratanakosin Period 19th century. 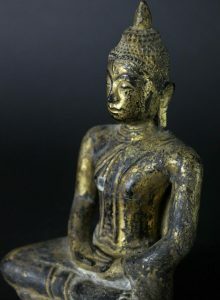 Little piece of lacquer missing on the brest and probably it had been sitting on a high throne. 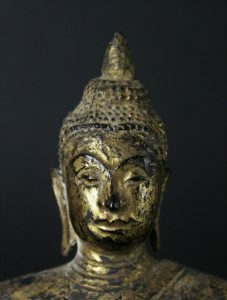 For the rest in good condition and very detailed and a lovely expression.